Follow the thrilling adventures of planetary missions, past and present, and see the stunningly beautiful photos that they return from space! There have been tons and tons of HiRISE images of the Curiosity landing region, and it has taken quite a lot of work for me to find, locate, and catalogue them. This post is a summary of what I've found; after five revisions and updates, it's now version 3.0 of the list. In the six weeks since my last detailed Curiosity update, the rover has driven to, on, and around a couple of active barchan sand dunes on Mars. They are now searching for a site to scoop and sample sand on the western edge of Namib dune. 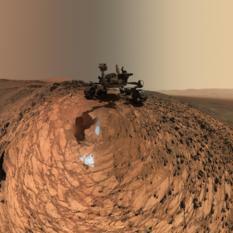 In a remarkable and wholly unexpected gift to Curiosity fans, the rover has just taken the first-ever color Mastcam self-portrait from Mars. 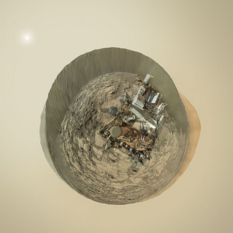 Yesterday at the American Geophysical Union meeting, the Curiosity science team announced the discovery of a mineral never before found on Mars. 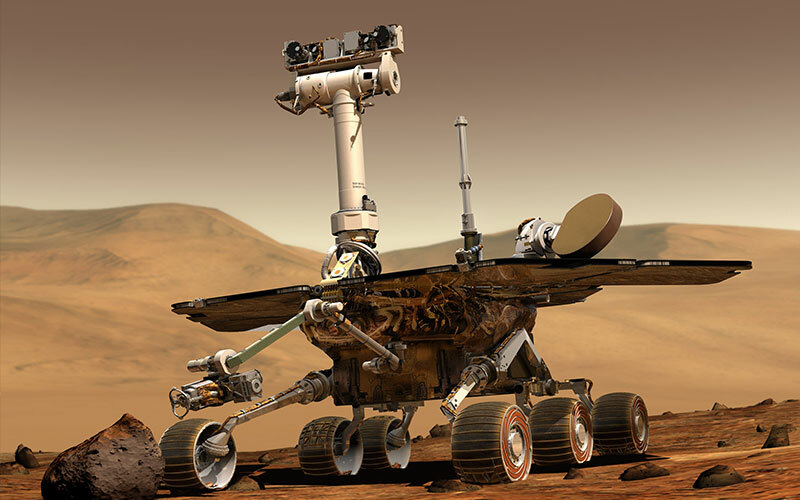 The finding was the result of a fortuitous series of events, but as long as Curiosity's instruments continue to function well, it's the kind of discovery that Curiosity should now be able to repeat. 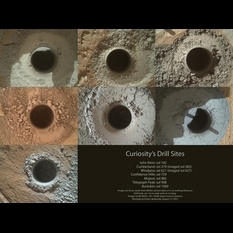 Since my last update, Curiosity drilled two new holes, at Big Sky and Greenhorn, and is now approaching Bagnold Dunes. Since I last checked in with Curiosity, the rover has been steadily driving southward, heading directly toward the Bagnold dune field. 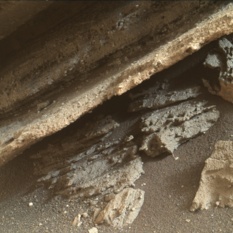 They are looking for a place to drill into the Stimson sandstone unit, but have been distracted by intriguing pale haloes around frock fractures. Despite a rough road, the wheels are not showing significant increase in damage. How and why does Curiosity take self-portraits? 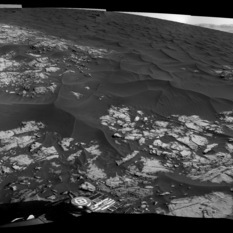 A look at some of the people and stories behind Curiosity's "selfies" on the occasion of the official release of the sol 1065 belly pan self-portrait at Buckskin, below Marias Pass, Mars. 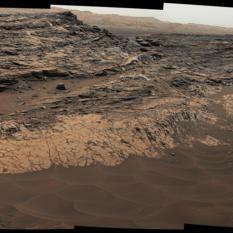 Since my last update, Curiosity has driven back and forth repeatedly across a section of rocks below Marias pass. The rover finally drilled at a spot named Buckskin on sol 1060, marking the drill's return to operations after suffering a short on sol 911. 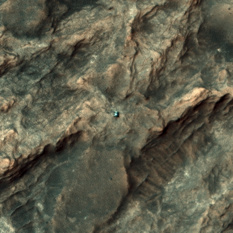 Now the rover is driving up into Marias Pass and onto the Washboard or Stimson unit. I'm back from two weeks' vacation, so it's time to catch up on the status of all our intrepid planetary missions, from Akatsuki to the Voyagers and hitting the Moon, Mars, asteroids, comets, and Saturn in between. 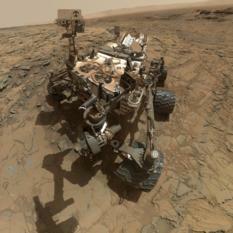 It’s been an eventful few weeks for Curiosity on Mars. 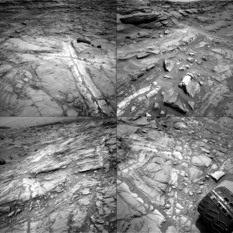 From sols 981 to 986, Curiosity’s human pilots tried and failed to drive the rover southward; but, retracing their steps to Logan's Run, they quickly found a way up and into a beautiful geological amphitheater named Marias Pass, where they will stay throughout Mars solar conjunction. They also returned ChemCam to normal operations. 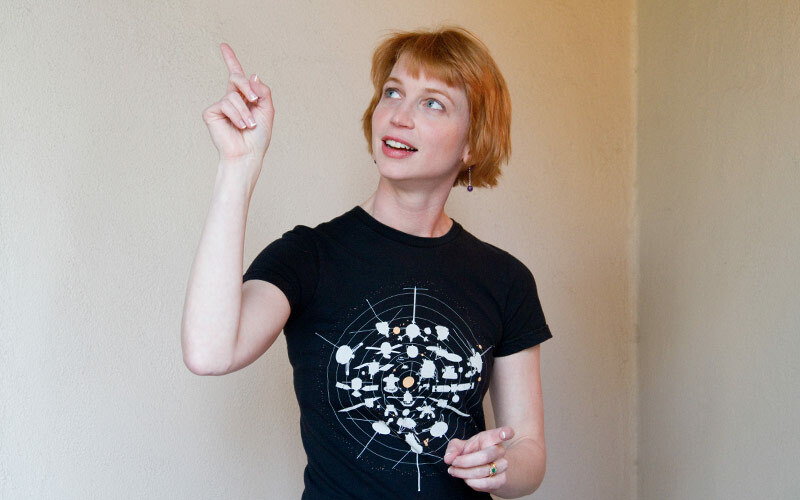 Become a member of The Planetary Society and together we will create the future of space exploration. Support enables our dedicated journalists to research deeply and bring you original space exploration articles. 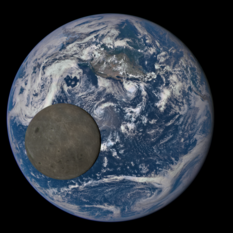 Empowering the world's citizens to advance space science and exploration. © 2019 The Planetary Society. All rights reserved. The Planetary Society is a registered 501(c)(3) nonprofit organization.